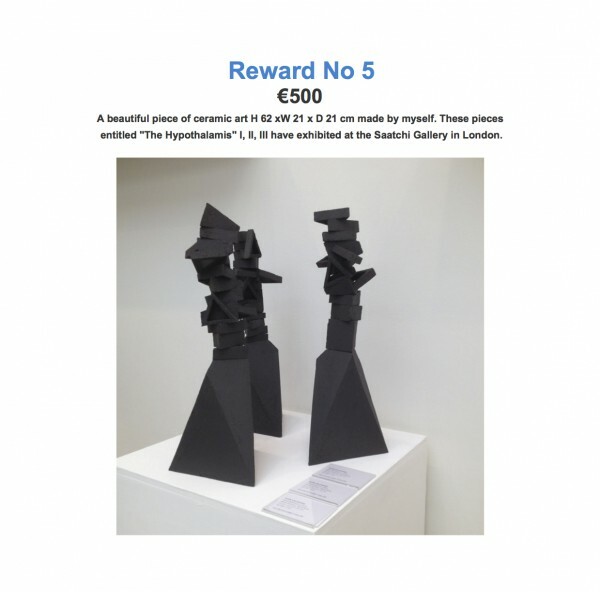 Support an Irish artist and get a great reward. This residency at The Glasgow Sculpture Studio is a great opportunity for me to further my practice and return to Ireland with a new skill set. It is a 10 week self funded residency, I will be producing new artworks to exhibit in Ireland 2018. 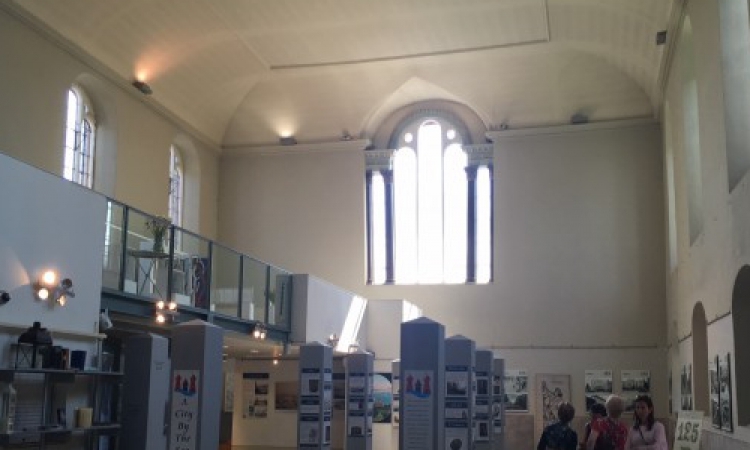 The first show is in May in Cork City Hall Atrium to which all funders will get a special invitation. The series will consist of constructing objects with sheet bronze, and C&C birch paintings. I'll be working with form and colour, you can see similar work on my website www.kevincallaghan.ie. The money raised will directly contribute and pay for materials and the residency fees. Glasgow has a great art culture and I have a great rapport with the Scots - I'm sure I'll get on great there for a few months. Glasgow has the similar vibe to Ireland. I grew up in Donegal as a child of the 80's. At the age of 15 I realised I wanted to pursue art and design as I found a real interest in creating. Taking that interest to a logical step I studied Art for the Leaving Cert. I actually failed Honours Art but was determined enough to get into art and design school in Derry. Ten years later I found myself enrolled in a Masters at the Royal College of Art after finishing a BA at the Crawford College of Art. I also have many shows and many awards under my belt. Have a look at the studio in Glasgow where I'm doing the residency, it's very impressive. I am crowd funding for this project to help me fulfil this exciting opportunity. That's were your help would be amazing. I feel it's an honest way to fund raise and a small amount of money will get you a great piece of art that will be worth more money in the future. Thank you so much for your support, it really means the world to me. Please tell your friends, they can also have a piece of art and support an Irish artist. A big Thank You note. Public acknowledgement on my social media and my personal website. A little something in the post + A special invitation to my exhibition in May. A big Thank You. Public acknowledgement on my social media and my personal website and a 25 x 28 cm edition artwork. 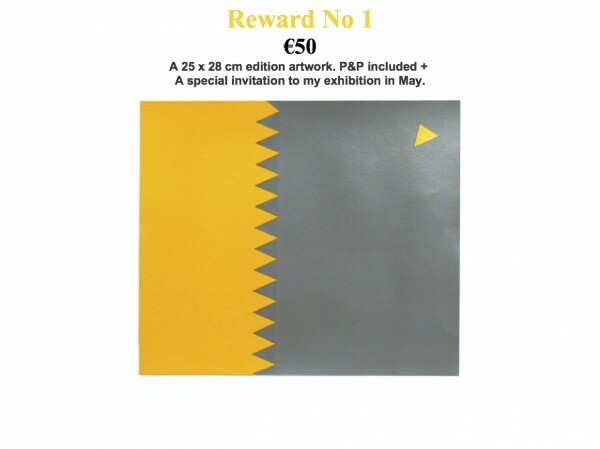 P&P included + A special invitation to my exhibition in May. A big Thank You. Public acknowledgement on my social media and my personal website and a 34 x 36 cm edition artwork. P&P included. + A special invitation to my exhibition in May. 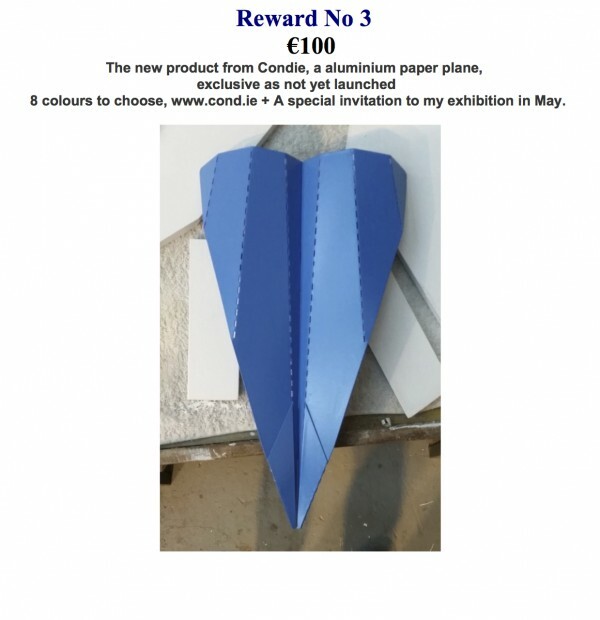 The new product from Condie, a aluminium paper plane, exclusive as not yet launched 8 colours to choose. 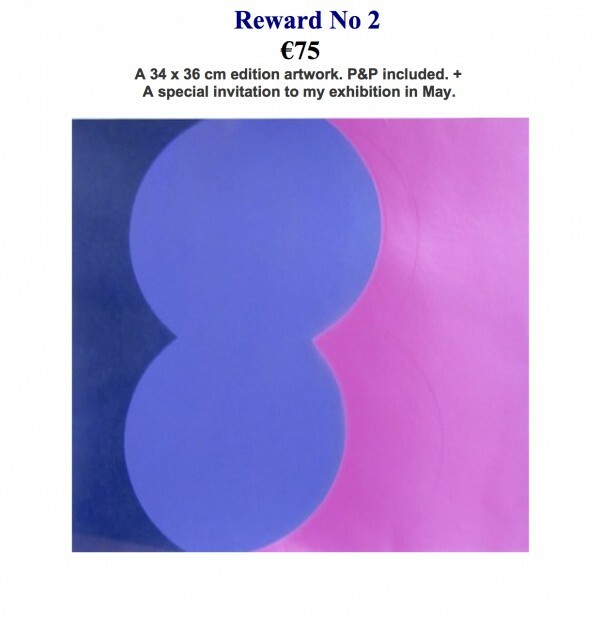 www.cond.ie + A special invitation to my exhibition in May. A 1 day hand-building ceramic workshop taught by myself in the National Sculpture Factory, Cork City in May 2018. TBC. + A special invitation to my exhibition in May. A beautiful piece of ceramic art H 62 xW 21 x D 21 cm made by myself. These pieces entitled "The Hypothalamis" I, II, III have exhibited at the Saatchi Gallery in London. These are 3 very exclusive pieces. + A special invitation to my exhibition in May. I have 5 days left and I am at 66% now, so getting there. This residency is a great opportunity for me to develop my practice further. Please spread the word, if you think anyone would like an original piece of artworks. Its been a busy year since I moved back from London just over a year ago, I have been artist in resident in The National Sculpture Factory as you know, I have completed a commission for Dublin Airport Authority through Business to Arts and set up the design company www.cond.ie. 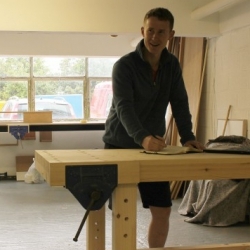 I have been accepted in the Glasgow Sculpture Studio for a self-funded residency. 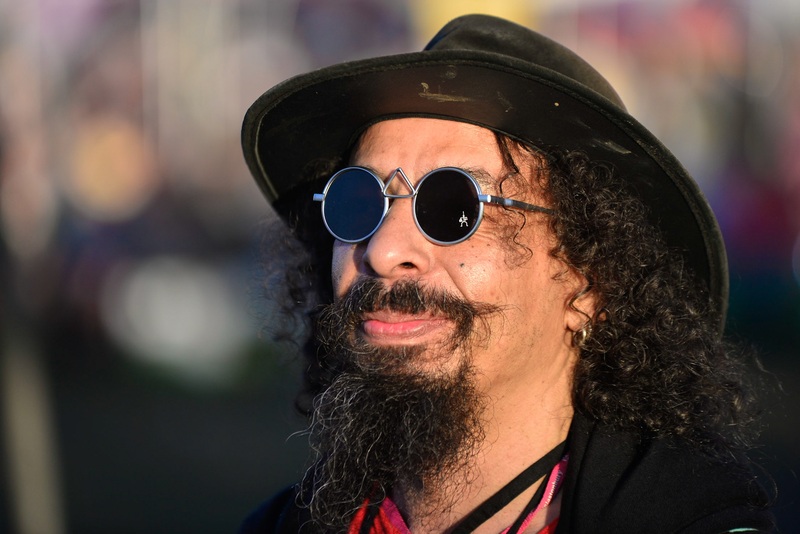 I am now doing another crowd-fund to help with material and the residency fee's. One way you can help is by sharing my campaign and forwarding this email to anyone you think may be interested. Crowd funding is all about getting the word out there so I’d be forever grateful if you could help me do that and I feel the rewards I have put in place are fulfilling. If you like what I am doing and fancy a new piecec of my work go to https://fundit.ie/project/glasgow-residencykevin-callaghan (all details are there). You can invest anything from €25+ - €500+ - every little helps!, I have carefully picked great rewards for you. If for any reason I don’t make the target of a minimum of €3,200 you will be fully reimbursed. I am going to do everything in my power to make the crowd fund happen as my work means the world to me and I really would like for you to have a piece of my work too. The residency will commence on the 16th of Jan in the Glasgow Sculpture Studio which has a strong artist community and great facilities. The residency is the beginning of a new series of works that will really build up a language for further investigation into C&C, paintings and sheet bronze objects. I will be exhibiting in Ireland on my return and you will get a special invite these shows. Your support would be amazing. Anyway, I’m really looking forward to hearing from you.